In compliance with the orders of the Local Government conveyed in Commerce Department letter No. 273R24 (R.N. 594), dated the 11th of July, 1924, from the Secretary to the Government of Burma in the Finance and Revenue Department, aninvestigation has been held by a Special Court into the circumstances attending the loss of the S.S. "Clan Macmillan," which struck a rock off the Preparis Shoal on the night of the 20th June this year when on a voyage from Calcutta to New Caledonia and the Fiji Islands. 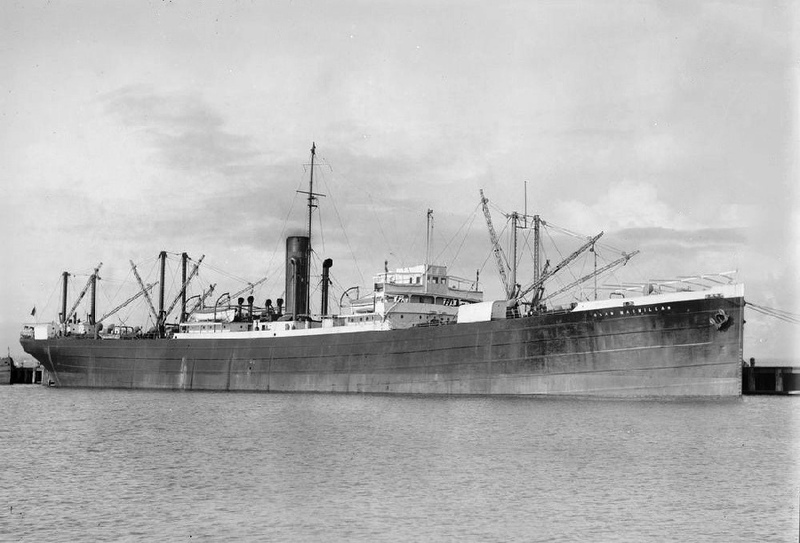 As it appeared from the start that the question of the cancellation or suspension of a certificate might be involved, and it was necessary to complete the investigation without delay, assessors (Captain E. Robin, of the S.S. "Gloucestershire," and Captain A. Beatson, of the S.S. "Jalavijaya") were appointed at once, and the Court then proceeded to hear the evidence. Mr. Clifton produced his witnesses for the defence, citing the chief officer, Mr. Wooldridge, the apprentice, Mr. Cohn, who took the soundings on the night of the 20th, and two other witnesses, Captain Vibart and Mr. Lemon, who produced reports showing that about the time of the disaster there was a strong north-easterly set. All the members of the Court are unanimous in thinking that all the witnesses have given their evidence quite straightforwardly; and they are also of opinion that after the accident Captain Mackinnon did all that a master of a ship should do. They also wish to express their appreciation of the foresight displayed by the second officer, Mr. Easterbrook, in taking away his navigation instruments in the boat with him without orders. To some of the questions which the Court has had to consider there has been no difficulty in giving answers. Thus. the evidence shows quite clearly that the three compasses which the vessel had were adjusted on the Clyde before she left England, and that on the voyage out they were tested twice, once in the Mediterranean and once in the Arabian Sea, and there was no appreciable alteration in the deviations found then and the deviations when adjusted. The ship dropped the Hooghly pilot at 9.30 p.m. on the 18th. On the 19th it was impossible to take any observations at all, and the first observation was taken at 8 a.m. on the 20th, but it was not possible to get a proper observation until noon. On leaving the Eastern Channel Lightship the course had been set S.37'E., the ship thus making for a point 10 miles east of Table Island Light. The observation at noon on the 20th showed that the position was 16.8' N. and 92.36' E., a position 25 miles east of the dead reckoning position. This difference being accounted for by an easterly set the captain altered his course to S. 25' E., steering S. 23' E. by compass in order to allow for the easterly set. In the opinion of the Court this was a safe and proper course for him to take as it would have brought him 18 miles clear of the south-western extremity of Preparis Reef. At 3.30 p.m. another observation was taken by the second officer. He does not remember the exact position, but he remembers that it was three miles east of the dead reckoning position. He reported this to the captain, but the captain still thought it safe to continue on that course, and the Court is of opinion that on the evidence he was justified in continuing on that course as he had no proof that there was any northerly set, or that it would increase in strength as he got towards Preparis Island. At 7.50 p.m. the captain gave orders to the apprentice Cohn to take soundings, and a sounding of 100 fathoms and no bottom was reported. At 8.50 p.m. he again gave orders for soundings to be taken, and this time Cohn obtained a sounding of 85 fathoms with a bottom of sand and stone. Captain Mackinnon says that a depth of 85 fathoms and a bottom of sand and stone indicated to him that he was outside the line of soundings shown on the chart, and he assumed the substance shown to be stone, not coral, and he therefore thought it safe to proceed. In the opinion of the Court he was not justified in carrying on after he had got any soundings at all, and a depth of under 100 fathoms should have shown him that he was too close to the Preparis Shoal, and that in any case he should have been particularly careful seeing that it was a dark night and visibility bad. After obtaining this sounding the captain ordered the apprentice to take another sounding at 9.15 p.m. As the speed of ten knots was maintained the ship by that time would have travelled about three miles. At 9.15 p.m. the apprentice found that the depth was 60 fathoms and the nature of the bottom could not be ascertained, and that the lead was dented as if by rock, and he reported this and showed. the lead, and the captain not being satisfied directed him to make another cast immediately. He did so and got a sounding of 29 fathoms at 9.35 p.m. and a bottom of sand and stones. He reported this to the captain and the captain immediately altered the course "due west," and half a minute later the ship struck. She did not stop or lose way, but went on,. and a moment afterwards she struck hard again under No. 4 hold, and the captain then stopped the engines. After this it was found that the ship was taking in water, and at 9.55 p.m. he ordered the boats to be lowered. The boats stood by the whole night. The captain stayed on board till 5 a.m. and then went off, and then revisited it at 7 a.m. for the last time. It sank eventually at 10.30 a.m. on the 21st. According to the captain the position of the ship as he estimated it in the morning was ten miles east of Preparis Island. She presumably had drifted over there owing to the set. It is not necessary for the Court to go into the details regarding the messages sent out for help and the way in which the crew were eventually rescued. All it is concerned with is the question of the responsibility of the master for the mishap. The answers to each question have been recorded separately. It will be seen from the answers to questions 8 and 10 that the Court is of opinion that Captain Mackinnon was guilty of a grave error of judgment in continuing on his course after obtaining a sounding of 85 fathoms. In the opinion of the Court it is immaterial whether there was really a north-easterly instead of a purely easterly set or not, and the very fact that he got a sounding of 85 fathoms should have shown him that the set was much stronger than he had anticipated, and he should therefore have altered his course to the south at once. The members of the Court are of opinion that the default, if any, on the part of Captain Mackinnon was not such as to warrant either the suspension or cancellation of his certificate, especially as there is no work of reference to which he could have referred in which it is stated that there is an exceptional amount of current round Preparis Island, and do not, wish to go further than anything they have said in answers to the questions that have been framed for their decision. 1. What number of compasses had the vessel; were they in good order and sufficient for the safe navigation of the vessel? When and by whom were they last adjusted? A. The vessel had three compasses and all were properly adjusted on the Clyde before the vessel left Liverpool and they were in good order. 2. Did the master ascertain the deviation of his compasses by observation from time to time; were the errors correctly ascertained and the proper corrections to the courses applied? 3. When was the first position by astronomical observation obtained after taking departure from Eastern Channel Light Vessel? A. At noon on the 20th of June. 4. What was this position, and was a safe and proper course then set and thereafter steered; and was due and proper allowance made, taking into consideration the weather conditions and set experience? A. The position was 16.8' N. 92.36' E., and in the opinion of the Court a safe and proper course was then set and thereafter steered and due and proper allowance was made, taking into consideration the weather conditions and set experience. 5. Were any further astronomical observations obtained, if so, what was the position? A. A further observation was taken at 3.30 p.m., and the position was then three miles east of the dead reckoning position. 6. Was the course steered from the last position by observation a safe and proper one under the circumstances? Was the captain justified in continuing on his course after receiving the report of the observation at 3.30 p.m. on the 20th June, taking into consideration the easterly set? A. The course was a safe and proper one, and the captain was justified in continuing on his course after receiving the observation. 7. At what time was the deep sea lead first used,. and when was a sounding of under 100 fathoms first obtained on the evening of the 20th June? A. The deep sea lead was first used at about 8 p.m. A sounding of under 100 fathoms was first obtained at 8.55 p.m.
8. Having regard to the supposed position of the ship, and having obtained bottom of under 100 fathoms, were the course and speed maintained safe and proper? Was the captain justified in continuing on his course and not altering his course to west or stopping on finding a depth of 85 fathoms on taking soundings at 8.55 p.m., and also on getting a depth of 60 fathoms on taking soundings at 9.15 p.m.? A. The course and speed maintained after having obtained bottom of under 100 fathoms were in the opinion of the Court not safe and proper. The captain was not justified in continuing on his course and maintaining his speed on getting a cast of 85 fathoms and still less on getting a depth of 60 fathoms. In the opinion of the Court the captain ought to have altered his course S. by W. immediately on getting soundings of under 100 fathoms. 9. Was the ship navigated with proper and seamanlike care? A. The ship was navigated with proper and seamanlike care until soundings were obtained. 10. Was the loss of the S.S. "Clan Macmillan" caused by the wrongful act or default of the master or any other person on board? A. In the opinion 'of the Court the loss of the S.S. "Clan Macmillan" was caused not by any wrongful act or' default on the part of the master, but by a grave error of judgment on his part by not altering his course when soundings were obtained, and particularly when he shoaled his water and got a sounding of 60 fathoms.